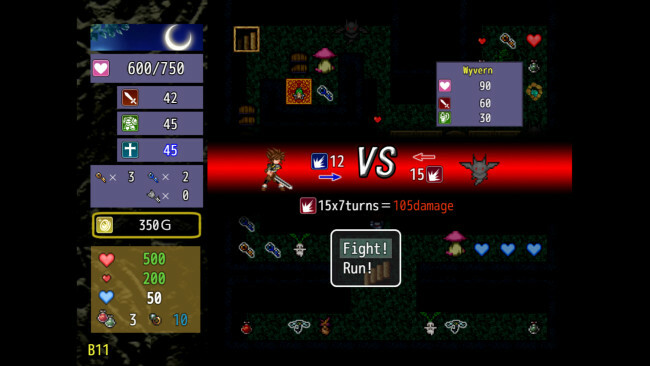 This game’s system is based on a game tool called WWA Magic Tower, created by Caravan Circle. It’s a puzzle RPG spanning 60 dungeon levels with unique scenarios. “The Dungeon of Lulu Farea” That is the name of the legendary dungeon said to lead to the demon world. Adventurers set out to take on the dungeon’s challenges in search of wealth, glory, and legendary items, only to fall victim to their own ambitions. Today, a fresh adventurer approaches the dungeon. However, this man has no interest in wealth or honor. No, he is after something altogether different. “This dungeon has FEMALE MONSTERS! 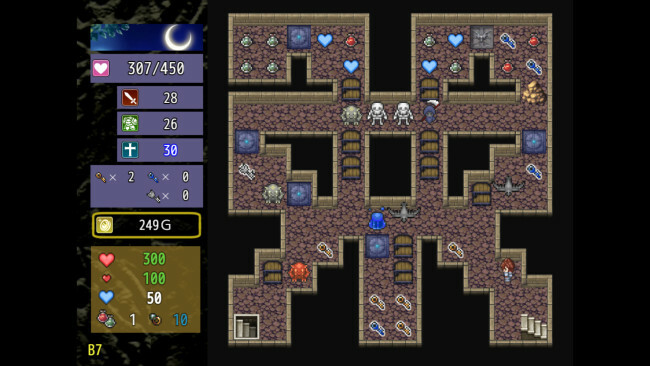 !” The Dungeon of Lulu Farea is an underground puzzle dungeon with 60 floors. Monsters lie in wait, doors block your path, and the labyrinth gets more and more complicated… Unlike your typical RPG, this is not a game in which you battle monsters to raise your level and force your way through. This is because all of the game elements are “limited.” Defeated monsters never come back, and the strengthening items, keys, and money you receive are all limited. It takes brains to get through this dungeon. Which route will you take, which enemies will you fight, which doors will you open…? These judgments will determine your fate. Repeatedly make good decisions and aim to conquer the dungeon! Once The Dungeon Of Lulu Farea is done downloading, right click the .zip file and click on “Extract to The.Dungeon.of.Lulu.Farea.zip” (To do this you must have WinRAR, which you can get here). Double click inside the The Dungeon Of Lulu Farea folder and run the exe application. 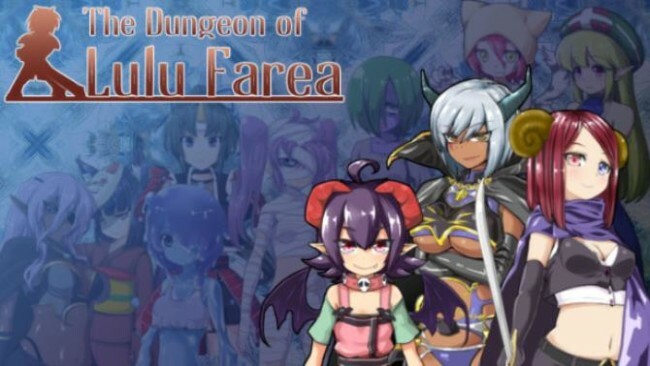 Click the download button below to start The Dungeon Of Lulu Farea Free Download with direct link. It is the full version of the game. Don’t forget to run the game as administrator.